Sir Edmund Leach (1910-1989), known for writing about egalitarian social organization in highland Burma, began his anthropological musings on Botel Tobago (now Orchid Island) in 1936-37 after aborting a business career in China. He may have acquired his first ideas about egalitarian societies from the Yami. Leach described the island as “a test case of applied ethnology” (1937: 420), arguing that the Japanese attempted to extend Yami culture (Taiwan’s most egalitarian society), while modernizing their lives. Leach later reflected upon the Yami as “primitive” Oceanic society. Trying to understand how humans become aware of time and its measurability, he argued that calendars arise from a need to pre-arrange festivals and undertakings. People must link seasonal and solar years, finding mechanisms to adjust lunar and solar calendars, often with non-human assistance (e.g. 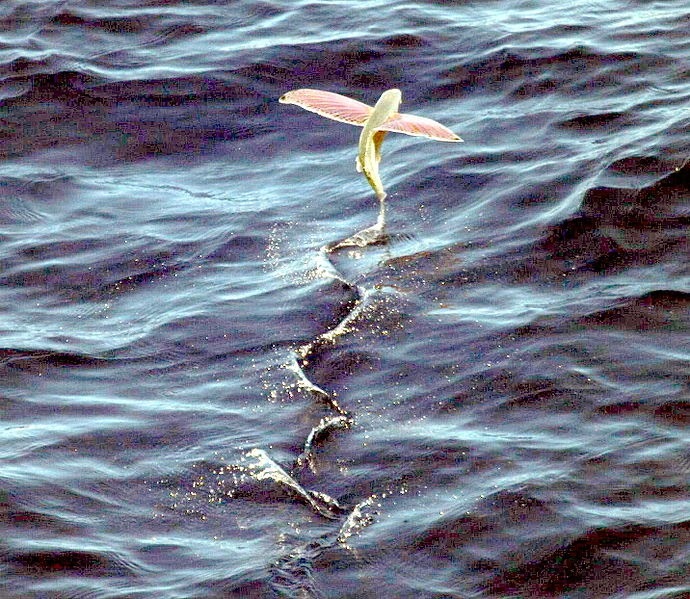 flying fish). This is apparently subconscious, as “this does not imply that primitive peoples necessarily appreciate the existence of a solar year” (1950: 262). Japanese colonial surveys said little about time, except that headhunting followed the millet harvest. Perhaps the Japanese assumed Taiwan’s “primitive” peoples were timeless until colonial administrators introduced the Gregorian calendar. The Seediq have words for year (kawas) and month (idas), but claim they had neither calendars nor watches until the Japanese came. Indeed, they use Japanese to express time of day, day of the week, and dates. It must have been difficult for Leach to grasp, but perhaps naming specific dates was unimportant in egalitarian societies without written words. Living close to the equator with no major seasonal differences in length of day, moreover, Oceanic peoples had few reasons to be concerned with the solar year. Besides, the fish seem to keep track of seasons well enough. People just have to follow the fish. Maurice Bloch identified two kinds of time: 1) cognitive understanding derived from interactions in the world; and 2) ideological representations of ritual cycles and unchanging order. Since the latter tended to serve ritual specialists and hierarchical order, they were absent in egalitarian societies (Bloch 1985). Complex calendars required writing to keep everyone literally on the same page. And in colonial situations, people combine different calendars in creative ways (Huang 2004). All creatures experience cognitive time, time lived in a process of simply being in the world. It is intrinsically based on relations between species. The Yami thus calculate seasons upon the arrival of flying fish, the Wogeo adjust theirs to the palolo worm, and the Runa of Ecuador await “ant season” every year (Kohn 2013: 79). Canadians rejoice in spring at the return of the geese and the flowing of maple sap. The living world lives cognitive time by thinking it together. If calendars correlate with political systems, it is best not to judge societies by what they lacked, but rather by what they had. These were neither stateless societies nor timeless societies, but rather societies without states and without calendars. The Yami, like us, are becoming more attuned to industrial ideology, marching along to the ticking of clocks, calendars, and smartphones. Perhaps we lose something if we move away from the interspecies relations that form the web of cognitive time. Bloch, Maurice. 1985. “From Cognition to Ideology.” In Richard Fardon (ed.). Power and Knowledge: Anthropological and Sociological Approaches , pp. 21 - 48 . Edinburgh: Scottish Academic Press . Huang, Shiun-wey. 2004. “’Times’ and Images of Others in an Amis Village, Taiwan.” Time & Society 13 (2/3): 321-337. Kohn, Eduardo. 2013. How Forests Think: Toward an Anthropology beyond the Human. Berkeley: University of California Press. Leach, Edmund. 1937. “The Yami of Koto-sho: a Japanese Colonial Experiment.” Geographical Magazine 5: 417-434. ______. 1950. “Primitive Calendars.” Oceania 20 (4): 245-262. Thanks for this Scott. I didn't know about Leach's writing on the Yami. I'd be interested to know what you make of the Bunun Moon Calendar, which I've heard is the oldest known form of indigenous writing in Taiwan? Have you seen any articles about the Bunun Moon Calendar? I would certainly be interested in learning more. So far, I have only seen photos. Thanks Scott! I would be more than glad to share your post on eRenlai with your agreement. Hi, Cerise. Of course, you may share my posts on eRenlai. Thanks for asking. These blogs are for my class Anthropology of Taiwan. Students all have to write a weekly blog, so it is only fair that I write one, too. I think that a wider audience may enjoy some of them.